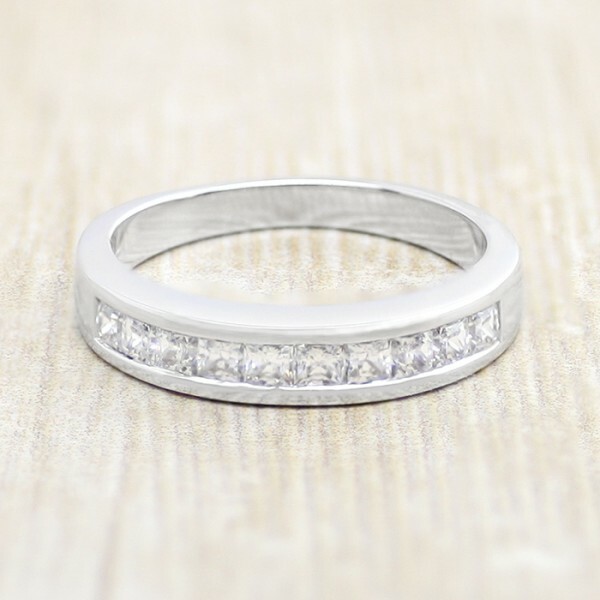 Princess Cut Stones in Channel Setting - Palladium - Ring Size 7.5 was added to your cart. A solid, substantial band of palladium is set with a row of Princess cut Contemporary Nexus Diamonds. The look is sleek, straightforward and modern. It is gorgeous worn alone on any finger.